We have run out of space for our books. Again. Only four weeks ago we had a huge clearout and filled five bags of unwanted tomes?an oxymoron, if you ask me, because there is no such thing as an unwanted book in my world?to give to charity shops. All that effort managed to free up a single paltry bookshelf, and even that only because we took the strategic decision to leave a good sized pile on the living room’s coffee table and another one on the desk in my study. But then, a couple of ill-advised bookshop trips and a handful of magazine book cupboard sales?one of the biggest perks of a journalist’s life?landed us once more in bookshelf hell. So I am contemplating the dreary task of trekking to IKEA, or some such shop, to replace the small bookcase in my study with a sturdier, more capacious specimen that will take up an entire wall and deprive my desk of what little natural light it receives. I’ll probably throw in a couple of loose shelves too, just in case we do decide to clear the coffee table pile, which is now so precariously high it is a serious hazard to anyone that ventures nearby. This kind of ramshackle solution to our book-storing problem has the power of putting me in a singularly bad mood. You see, what I really, really want is a proper library. I have coveted one?complete with open fire, worn dark leather armchairs with that special, musty smell of dust and wet dog, and floor to ceiling shelves with seemingly endless storing space?since I was little, and spent much of my playtime drawing floor plans of my dream home (yes, I was an ever so slightly odd child). I’d happily settle for the library at Blenheim, even though, if I recall correctly, it has a huge and hideous statue of a rather portly Queen Anne in a corner. But, of course, Blenheim is taken. 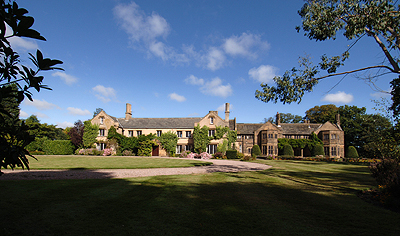 As an alternative, my eye has fallen on a Lancashire country house Knight Frank are selling. It has a library of majestic proportions?about 52′ 4″ by 29′ 4″ (15.93×8.92m for the metric crowd)?with plenty of lovely bookshelves. 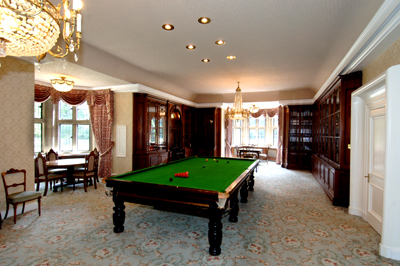 OK, there’s a billiard table in it too, but that would go out in no time, freeing up more room for books. 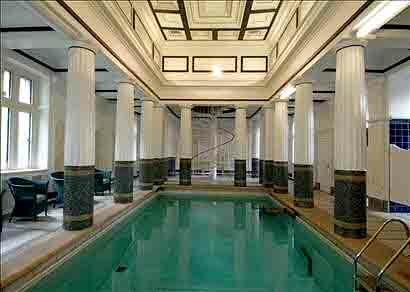 And it helps that the place also has a thoroughly spectacular indoor swimming pool. What has it to do with books, I hear you ask. Mens sana in corpore sano is what the Romans would reply. Fortified by such Latin sagacity, I did put the humble Lancashire abode on my birthday wish list last week?to no avail. Instead, I got more books. So it looks like I’ll be off to Ikea after all.